André Lwoff – French microbiologist and Nobel laureate. A French biologist who contributed to the understanding of lysogeny, in which a bacterial virus, or bacteriophage, infects bacteria and is transmitted to subsequent bacterial generations solely through the cell division of its host, André Lwoff was born on 8 May 1902, in Ainay-le-Château, Allier, in Auvergne, France, the son of Marie (Siminovitch), an artist, and Solomon Lwoff, a psychiatrist. Lwoff’s discoveries brought him (with François Jacob and Jacques Monod) the Nobel Prize for Medicine or Physiology in 1965. Together with Jacob and Monod, Lwoff contributed in comprehending the lysogeny or the lysogenic cycle mechanism where bacteriophage, a bacterial virus, causes infection to bacteria which is then transferred to succeeding generations of bacteria entirely by way of cell division of its host. He showed that the infection is passed on in a non-infective form, which is called a prophage. He also showed that the prophage under some conditions engender an infective form that results in lysis or breaking down of the membrane of the bacterial cell and the viruses thus released due to such disintegration can infect other hosts of bacteria. He had done significant research on poliovirus, microbiota, and bacteriophages at the renowned ‘Pasteur Institute’ of France where he served as the departmental head. 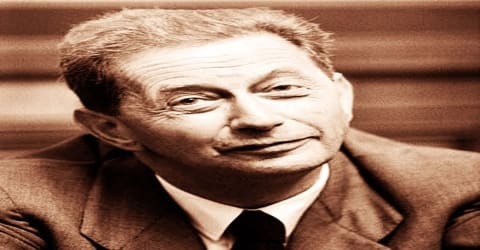 He received several honors and awards including the ‘Leeuwenhoek Medal’ from the ‘Royal Netherlands Academy of Arts and Sciences’ in 1960 and the ‘Grand Prix Charles-Leopold Mayer’ from the French ‘Académie des Sciences’ in 1964. His written works include ‘Problems of Morphogenesis in Ciliates’ (1950) and ‘Biological Order’ (1962). André Lwoff, in full André-Michael Lwoff, was born on May 8, 1902, in Ainay-le-Château, Allier, in Auvergne, France, to Solomon Lwoff and his wife Marie. His father was a psychiatrist and his mother an artist. Lwoff attended the ‘University of Paris’ from where he completed his graduation with a Science degree and thereafter in 1921. Lwoff joined the Institute Pasteur in Paris when he was 19 years old. In 1932, he finished his Ph.D. and, with the help of a grant from the Rockefeller Foundation, moved to the Kaiser Wilhelm Institute for Medical Research of Heidelberg to Otto Meyerhof, where he did research on the development of flagellates. Another Rockefeller grant allowed him to go to the University of Cambridge in 1937. He met great French biologist Edouard Chatton at the institute who became his mentor and with time the two scientists remained associated for around seventeen years till the death of the latter in 1947. Edouard Chatton helped him join the laboratory of Félix Mesnil in the ‘Pasteur Institute’. Lwoff first examined the parasitic ciliates and their development cycle and studied morphogenesis. He further investigated issues related to the nutrition of protozoan. In 1927 he earned his M.D. In 1938, Lwoff was appointed departmental head at the Institut Pasteur, where he did groundbreaking research on bacteriophages, microbiota and on the poliovirus. André Michel Lwoff married French microbiologist and virologist Marguerite Bourdaleix on 5th December 1925. The couple worked closely at the ‘‘Pasteur Institute’ and remained close colleagues while working on the parasitical ciliates at the ‘Roscoff Marine Biological Station’ along with French biologist Édouard Chatton. Lwoff was a humanist and strongly opposed capital punishment. He was fond of music, painting, and sculpture. André Michel Lwoff partnered with his wife (a French microbiologist and virologist), Marguerite Lwoff, née Bourdaleix, all through his career, although Marguerite could not garner much recognition for her contributions as her husband did. She was best known for her investigations on metabolism. Her research work began with a group of protozoans called ciliates and continued with other significant investigations including Apostomatida. The Lwoff couple were given a laboratory at the ‘Pasteur Institute’ where the duo investigated on Haemophilus metabolism and eventually they discovered the function of co-zymase. In 1932, Lwoff finished his Ph.D. and, with the help of a grant from the Rockefeller Foundation, moved to the Kaiser Wilhelm Institute for Medical Research of Heidelberg to Otto Meyerhof, where he did research on the development of flagellates. He obtained another grant from the ‘Rockefeller Foundation’ and went to the ‘University of Cambridge’ with his wife in 1937 and spent seven months there in the lab of David Keilin. 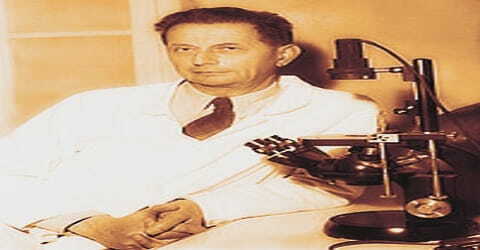 Lwoff was inducted as Head of Department at the ‘Pasteur Institute’ in 1938. He carried on significant research work while serving at the institute. By the time Lwoff began his investigation related to the problem of lysogenic bacteria, many such research works were being conducted on the developmental aspects of flagellates and ciliates. While examining isolated bacteria, he concluded that bacteriophages are not secreted by lysogenic bacteria. He found that the generation of bacteriophages leads to the fatality of the bacterium. He also suggested that external factors must be inducing such generation. In 1938, Lwoff was appointed departmental head at the Institut Pasteur, where he did groundbreaking research on bacteriophages, microbiota and on the poliovirus. Lwoff started research on poliovirus from 1954. He conducted investigations to study how temperature sensitivity of viral development is associated with neurovirulence and such study made him consider the viral infection problem. Gradually it became apparent that non-specific aspects play a significant role in the growth of primary infection. Lwoff then further investigated on the mechanics of particular deterrents of viral growth. He became the Corresponding Member of the ‘Botanical Society of America’ in 1956. In 1958 Lwoff became the ‘Foreign Member of the Royal Society’ (ForMemRS), London as also the Honorary Foreign Member of the ‘American Academy of Arts and Sciences’. 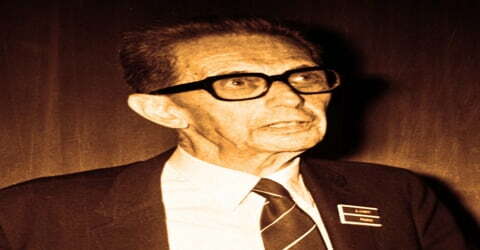 He served the ‘Sorbonne’ from 1959 to 1968 as Professor of Microbiology. He remained one of the driving forces in the establishment of the ‘European Organization of Molecular Biology’ that was officially formed in July 1964. For his services during the ‘Second World War’ Lwoff received the ‘Medal of the Resistance’ in 1964 and was made the commander of the ‘Légion d’Honneur’ in 1966. Apart from the practical use of Lwoff’s conclusions in “typing” strains of organisms recovered in epidemics, a justification of his views appeared later in developments such as those obtained by Shapiro and coworkers (1969), who isolated a complex of genes controlling a single function representing lactose operon. Lwoff retired from the ‘Pasteur Institute’ in 1968 and thereafter served the ‘Cancer Research Institute’ at Villejuif, near Paris, as the Director till 1972. He was an Honorary Member of the ‘Harvey Society’ (1954), the ‘New York Academy of Sciences’ (1955), the ‘American Society of Biological Chemists’ (1961) and the ‘Society for General Microbiology’ (1962). He also remained a member of several national and international societies and committees like the ‘International Committee for the Organization of Medical Sciences’, the ‘Société de Pathologie exotique’ and the ‘Société Zoologique de France’. Lwoff served as President of the ‘Société des Microbiologistes de langue française’ and the ‘International Association of Microbiological Societies’. Lwoff was the last surviving member of the triad that had shared the 1965 Nobel Prize. He was conferred honorary degrees by several prestigious universities, which include a D.Sc. from the ‘University of Oxford’ as also from the ‘University of Chicago’, both in 1959; a Doctor of Laws from the ‘University of Glasgow’ in 1963; and an M.D. from the ‘Université Catholique de Louvain’ in 1966. 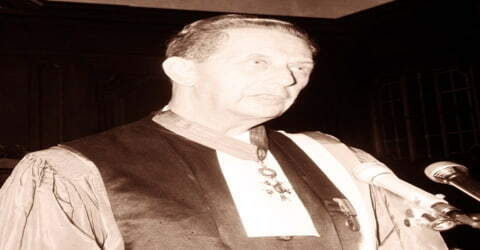 André Michel Lwoff was awarded numerous prizes from the French Académie des Sciences, the Grand Prix Charles-Leopold Mayer, the Leeuwenhoek Medal of the Royal Netherlands Academy of Arts and Sciences in 1960 and the Keilin Medal of the British Biochemical Society in 1964. In 1965 André Michel Lwoff was jointly awarded the ‘Nobel Prize in Physiology or Medicine’ along with two other French biologists, François Jacob, and Jacques Monod. André Michel Lwoff passed away on September 30, 1994, in Paris, France at 92 years of age. Writing in Le Monde shortly after Lwoff’s death, his colleague, Dr. Claudine Escoffier-Lambiotte, praised Lwoff for his opposition to capital punishment, his love of painting, sculpture, music, and “those things that awaken the spirit.” Dr. Escoffier-Lambiotte also noted that Lwoff’s “total absence from conformity and diplomacy” often earned the enmity of his colleagues.